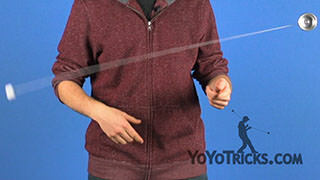 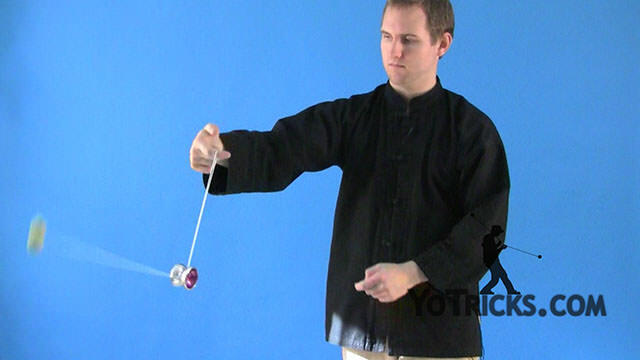 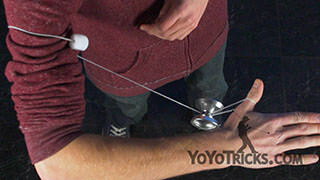 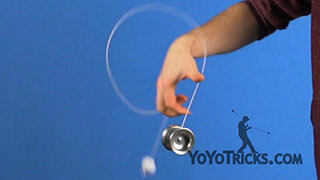 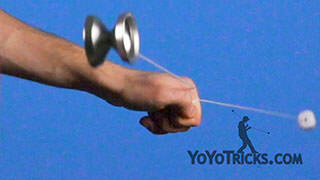 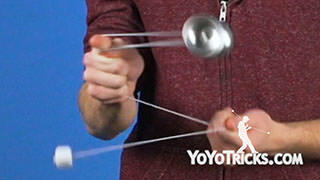 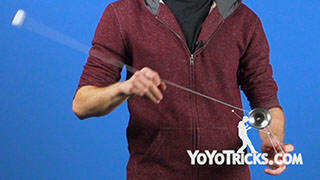 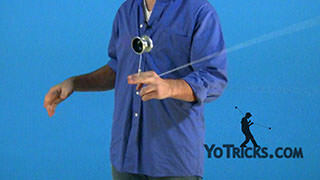 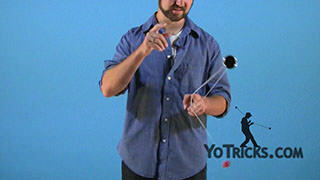 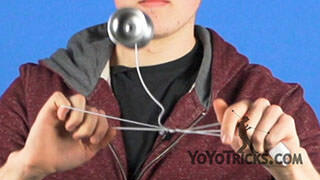 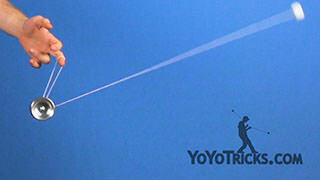 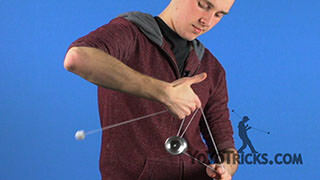 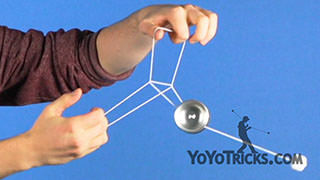 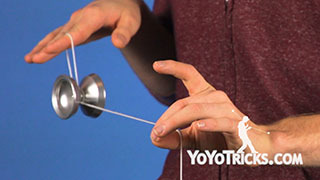 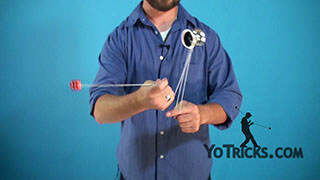 Learn how to do the Nunchuck (nunchaku) freehand yoyo trick. 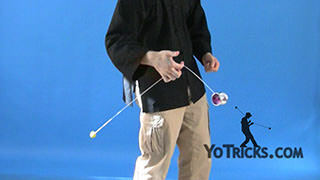 Nunchuck Yoyo TrickThis trick is called the Nunchuck (nunchaku), it looks like this. 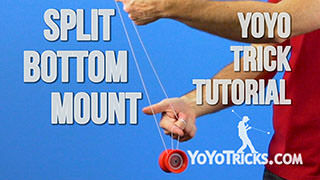 To do this trick, you are going to start by getting into a Split-Bottom Mount. 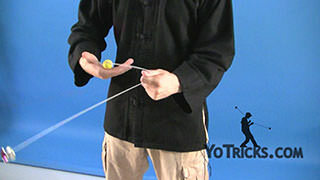 Just pull your opposite hand out. 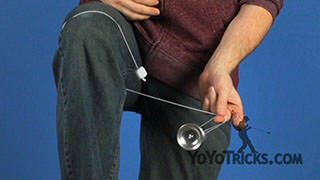 Basically you are just going to do a keychain, but with your hand open. 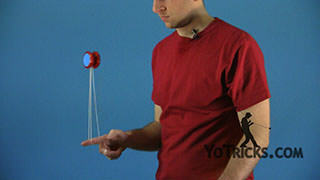 What that is going to do is it is going to let you let go of the counterweight and it will just unwrap, just like that. 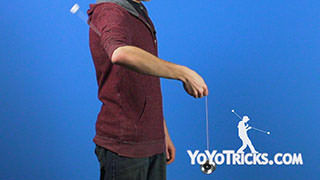 When it does, the momentum should carry it around so that it goes all the way around your shoulder. 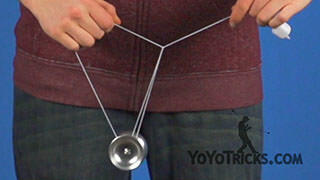 From there you can just grab the counterweight, get a little momentum and pull the yoyo right around your shoulder. 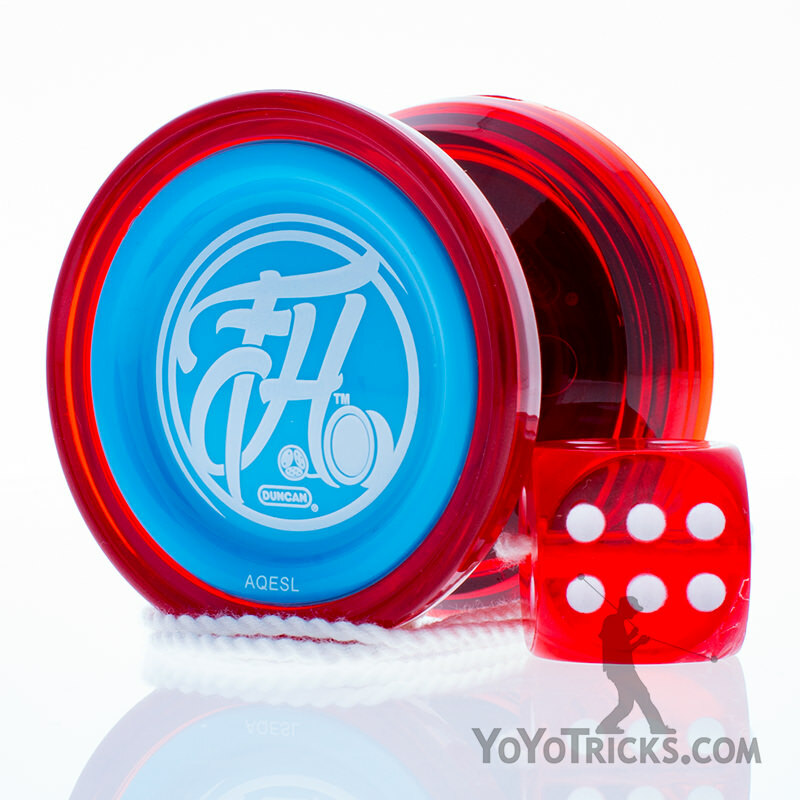 Bring the yoyo back to your hand. 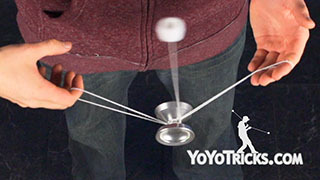 That’s really the whole trick, it just takes a little bit of practice to get it down, to get comfortable with the counterweight unwrapping. Of course it looks best if you do it all in one motion. 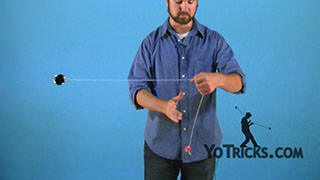 Here it is again.